Everyone knows that military technology developed rapidly during the Second World War. A conflict which still featured bi-planes and cavalry charges ended with jet propulsion, guided missiles and atomic weapons. Most, however, view the republican powers of the conflict as being the ones on the cutting edge. While this is certainly a major part of the story, with Nazi Germany developing many of the most innovative weapons and the United States opening the nuclear age, it is not the whole story. The major monarchies of the Allied and Axis forces actually were the first to come up with many of the later weapons systems that republican powers put to best use and so tend to get the credit for. All were actually much more advanced and further along on ‘the cutting edge’ than most people realize. 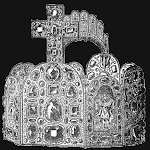 It only happened that, in many cases, the monarchies in question did not utilize these innovations for a variety of reasons. This holds true whether in looking at weapons or in the fields of strategy and tactics. Nazi Germany certainly made great strides and the United States and Soviet Union of course emerged as the strongest powers but much of their success was built on a foundation first set down by countries where monarchs still reigned. There is probably no better example, and no better place to start, than the British Empire. On land, sea and air British military innovations set the standard that others followed. Many of the ideas that came to be associated with other powers actually had British origins. Aside from military historians, how many are aware that the concept and the formation of the German Blitzkrieg was actually born in Britain? First of all, as most know, it was the British who developed the tank as an effective fighting vehicle in World War I but elements in the British army also knew that armored warfare would be essential going forward but new tanks and new methods of employing them would be necessary. 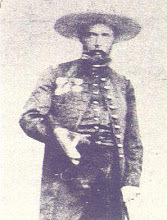 Much of the work later attributed to German General Heinz Guderian was based on the original theories of British Major General John Frederick Charles Fuller. Never heard of him? It would not be surprising, mostly because General Fuller, in the inter-war years, was affiliated with the British Fascist party and so officially remains on the “naughty” list and has never been someone that any in Britain felt like defending or boasting about. This is to take nothing away from Guderian, who rightly is credited for developing the German tank arm and putting these theories into effect but they were based on the ideas of Fuller. Likewise, it was in army exercises on Salisbury plain in 1928-1929 that the British army’s “Experimental Armored Force” was tested in serious war games. This force consisted of light and heavier tanks, armored machine gun carriers, armored scout cars, artillery units and infantry and engineers in mechanized vehicles as well as RAF support from the air. The tradition-minded generals threw standard infantry and cavalry units at the EAF in vastly superior numbers, stacking the odds heavily against them and yet the EAF won every time and with relative ease. The Germans learned a great deal from this and the famous German Panzer Divisions of mechanized infantry, tanks and artillery backed up by air support were all based on the proven success of the Experimental Armored Force in Great Britain. 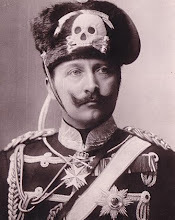 The Germans basically took ideas developed in Britain and utilized them to best effect, even more so than the British themselves who were hampered, in the early days of the conflict by the strictly defensive attitude of their French allies. In some ways, the Germans may have learned the lesson too well as German military thinking tended to bind the air forces to the army on the ground more than in other countries. This also highlights another area of British military excellence which was in the war in the air. Everyone knows about the heroism of the Royal Air Force in the Battle of Britain in which the Germans suffered for concentrating more on attacking ground targets while the British focused on shooting down German planes in aerial combat. Of course, the most successful fighter pilots, by far, in World War II were German, an honor no one can diminish. However, it is important to note that all of the most successful German pilots achieved their victories almost entirely against the Soviets. Many who had spectacular records on the eastern front were hard pressed to show much success at all when flying against the RAF. For example, one of the greatest pilots in the history of aviation was German Captain Gerhard Barkhorn who scored 301 victories during the war but who never shot down a single enemy plane when flying against the British. One of the reasons why the German ace Hans-Joachim Marseille (the “Star of Africa”) was so famous, despite having fewer victories than other aces like Barkhorn, Gunther Rall or Erich Hartmann, was because he flew against the British and so his 158 victories seemed impressive even when compared to pilots with over 200 or 300 victories against Soviet air forces. The RAF was also the first to put radar to effective practical use and this British innovation was quite crucial to victory in the Battle of Britain. 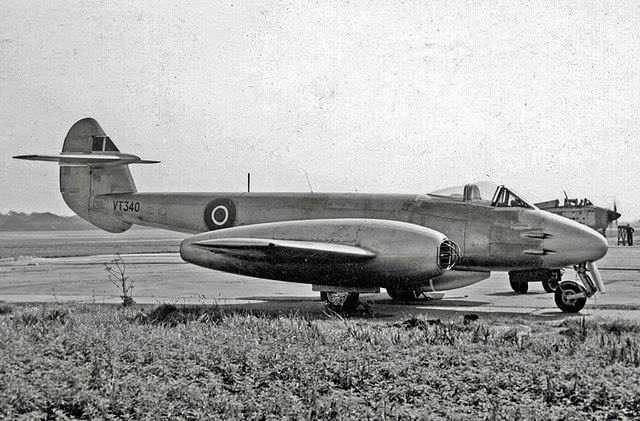 Likewise, while Germany (not unjustly) is credited with pioneering jet propulsion, the British had been working on it even before the war began and came out with the famous Gloster Meteor jet fighter in 1944. In the war at sea, it is no surprise that the British, who had dominated the oceans for so long, were also on the cutting edge. With HMS Ark Royal the British built the first modern aircraft carrier in World War I and in actions during World War II such as the raid on Taranto and the sinking of the Bismarck, it was the Royal Navy that proved how effective aircraft could be in the new age of naval warfare. In submarine warfare the British became famous for the success their submarines had at sinking enemy submarines and Royal Navy mini-subs, known as X-craft (or XE-craft in the Pacific) scored major successes with the sinking of the German battleship Tirpitz and the Japanese cruiser Takao. 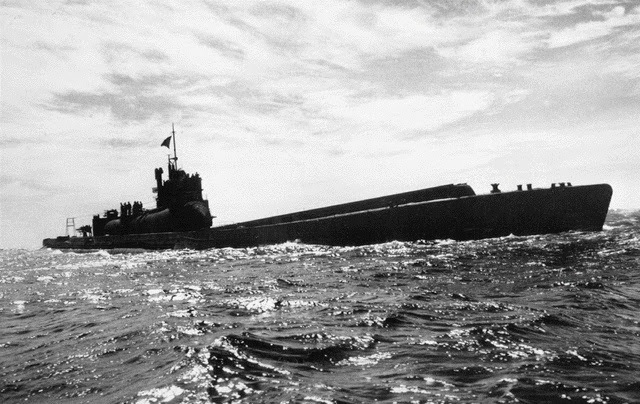 HMS Turbulent, one of the rugged, heavily armed T-class subs operated by the Royal Navy sank 90,000 tons of Axis shipping and the T-boats in particular played a crucial role in choking off the flow of supplies to Axis forces in North Africa at the height of the conflict. Commander Ben Bryant, the most successful British submarine captain to survive the war, sank 32 Axis ships as compared to the most successful American sub commander who sank 24. Both remarkable achievements but it shows how the Royal Navy were not just on the receiving end of submarine warfare. The British had an excellent record on the seas as well as above and below them. Of course, having been on the receiving end of the most successful submarine campaigns in history, in both world wars, the British were, by necessity, the undisputed leaders in anti-submarine warfare, developing hydrophones, active sonar, the depth charge and further developing existing systems to win the Battle of the Atlantic. In fact, when the USA entered the war they foolishly ignored British advice and so allowed the German U-Boats to do a great deal of damage before adopting tried and true British methods of combating the submarine menace. Another major success was the capture of a German code machine which highlights another area in which the British Empire excelled which was at intelligence gathering, code-breaking and espionage. It is really no wonder that the most famous “secret agent” around the world is British. Britain was quite adept at developing new methods of intelligence gathering as well as successfully passing false information to the Axis. In fact, Britain was so successful at this that in the mid-to-late war years there was hardly any German operation that the British did not know about in advance. In the Atlantic, London knew what German subs would be assigned to where or at the Battle of El Alamein, the British knew when and where the Germans would attack well before the offensive began. When it comes to military innovation and records of success in new fields, particularly in World War II, few probably would even consider the Kingdom of Italy. Yet, this is mostly due to how masterful the British were at another wartime tactic: propaganda. The Italians were actually extremely innovative even though, to their detriment, they did not always utilize the ideas of their best and brightest. Most will no doubt be very surprised to learn just how ahead of the curve the Italians were, what feats they were able to accomplish and how much more they might have. 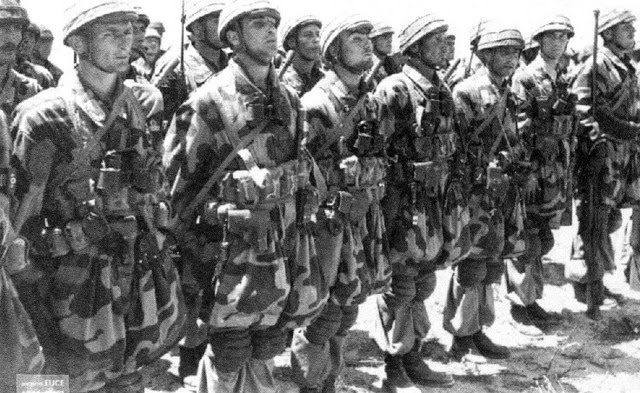 Far too many people have simply come to accept a grossly unfair caricature of the Italian military forces that has been repeated so often as to become accepted as a matter of fact. On land, sea and air the royal Italian military was far more advanced and innovative than most people realize. During World War II, the Italians accomplished some remarkable things and, again, contrary to popular perception, had some very expert and effective commanders. 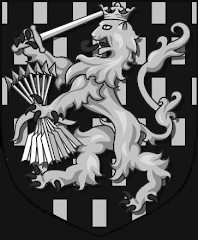 For example, when it came to the Blitzkrieg tactics later made famous by the Germans, to a large extent these were first put into effect by the Italian troops under General Ettore Bastico in Spain during the Santander offensive fighting for the nationalists in the civil war. He heavily trained his troops for specific objectives, managed coordination between infantry, artillery and air units for support and emphasized the need for speed in the advance, to keep advancing, to never stop and never allow the enemy a moment to reorganize himself. The result was a great victory for the Italian forces in Spain and a crushing defeat for the Spanish republicans. 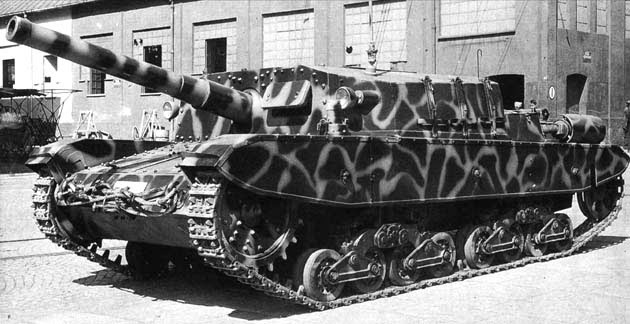 One of the many factors that hampered Italian armored effectiveness was a lack of radios and this was also a problem for most Italian aircraft. This is all the more frustrating considering that an Italian, Guglielmo Marconi, is usually credited with inventing the radio. Similarly, the Italians invented a workable radar set but, for some reason, it was never widely employed which put Italian naval units at a disadvantage. However, one area of new technology where Italy did quite well was in submarine warfare. At the beginning of the war Italy actually had the largest submarine fleet, by tonnage, in the world and in the course of the conflict Italian submarines would sink more than a million tons of Allied shipping. In fact, the most successful non-German submarine commander of World War II was an Italian, Captain Gianfranco Gazzana-Priaroggia who took down 90,601 tons of Allied shipping. The Italians also excelled at special-forces type operations using small torpedo motor-boats, demolition frogmen and human-guided torpedoes (though not of the suicide-type such as the Japanese kaiten). These units (Decima Flottiglia MAS) were able to sink numerous ships, even major warships, in some of the most heavily defended Allied harbors in the world such as Gibraltar, Alexandria, Egypt and Sebastopol, Ukraine. During the naval war in general, it is often overlooked that for a considerable period of time in 1942 the Italian Royal Navy won total control over the central Mediterranean, the major opportunity for the invasion of Malta that never came. When it came to the war in the air, the Italians again had a record of cutting edge innovation. The Italians were the first to use aircraft in combat (during the war with Ottoman Turkey) and it was the World War I Italian General Giulio Douhet who was the first to develop theories on air warfare by the large-scale use of bombers. 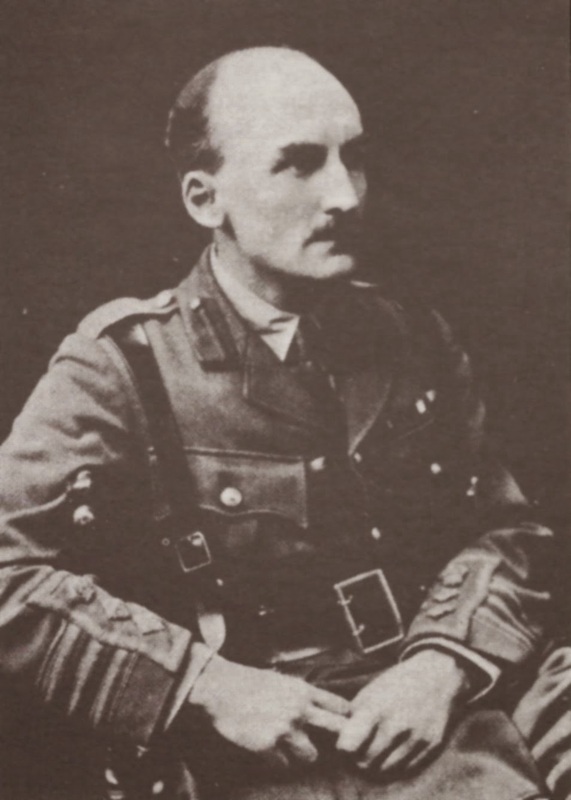 Much of what the Allies accomplished in their bombing campaigns against Germany and Japan were based on the original ideas of General Douhet. The Italians were also pioneers in the use of paratroopers and carried out the first airborne drop in 1927. 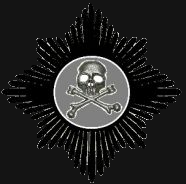 The Italian airborne divisions in World War II never had the opportunity to do what they were intended to (due to the cancellation of the invasion of Malta) but they more than proved their worth, particularly the Folgore Division which fought almost to the death, buying the time for the Germans to retreat at El Alamein. Fighting until they were reduced to using improvised weapons and until their ammunition was exhausted, the Folgore repelled numerous British attacks by vastly superior forces and destroyed over 120 tanks and armored vehicles. In terms of aircraft, lack of sufficient industrial capacity meant that Italy often lagged behind but the Italian forces did manage to produce planes such as the Macchi C.205 “Greyhound” that proved superior to the American “Mustang” fighter as well as the formidable Savoia-Marchetti SM.79 “Sparrowhawk” bomber that destroyed 72 Allied warships and 196 Allied freighters before the 1943 armistice. The Italians had also developed the Caproni Campini N.1 jet aircraft which first flew in 1940 and was believed at the time to be the first flight of a jet aircraft (the Germans had been first but had kept it secret). It was not terribly successful nor was more than one model ever produced but Italian engineers had developed jet engines for planes and boats as early as the 1930’s. The Italian Royal Air Force also pulled off some very surprising long-range bombing attacks, including an air raid on the British-held emirate of Bahrain in the Persian Gulf. Most hair-raising of all was the plan to attack no less a target than New York City. The first idea was to use the “human-torpedoes” to be brought close to New York harbor by Italy’s most successful submarine, the Leonardo DaVinci which was specially modified for the task. However, after a postponement the sub was sunk and so another plan was hatched to use a large sea-plane to transport the craft to striking distance, stopping in mid-Atlantic to be refueled by submarine. However, the plan was postponed again because of some other secret weapon that was to be used instead. What could this have been? Italy also had a specially modified trans-Atlantic bomber that was being outfitted to carry an especially heavy payload. Some have speculated that this was part of an effort to deliver an Italian atomic-bomb and, as much as most dismiss the idea, there is at least some circumstantial evidence to suggest this may have been the case. As early as 1939 Italian atomic scientists at the University of Milan were issued a patent for a nuclear reactor they had designed and Italian scientists were later sent to Germany where they had better facilities to continue their nuclear research. We do know that at some top-secret German nuclear tests the only foreigner present was an Italian officer and Mussolini was one of only a dozen individuals Hitler informed about the operation, no doubt because of the participation of Italian scientists in the development of the weapons. How close they came to success we do not know due to much of the documentation being destroyed and much still being classified by the British government, however, there is no doubt that the oft-derided Kingdom of Italy was highly advanced in nuclear research. Finally, we have the third of the major monarchial powers involved in World War II, the Empire of Japan. 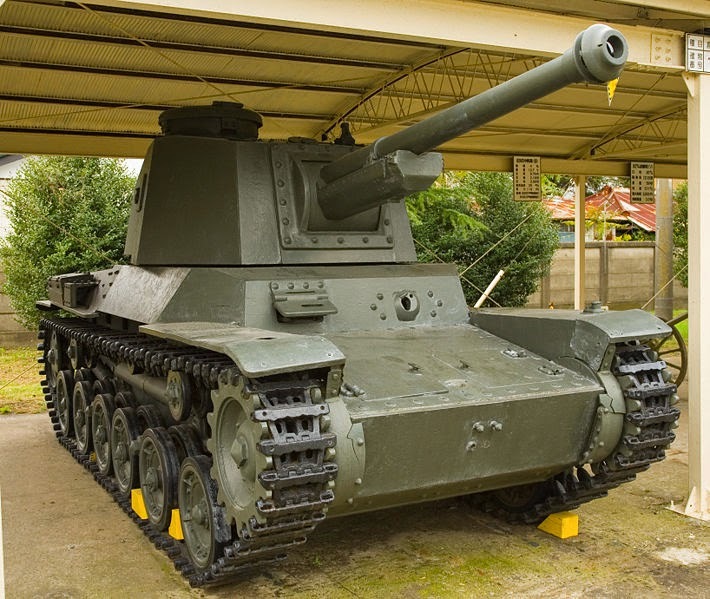 In terms of weapons for the army, there was not much that was very remarkable from Japan which tended to lag behind the other major powers in tanks and heavy weapons that were the latest trends in military technology. However, it made up for that by surpassing all others in terms of air and naval warfare innovations. Still, for the Imperial Japanese Army, while weaponry may have been lacking, innovation in strategy and skilled leadership was certainly not. One need only consider the fact that such major world powers as the United States and the British Empire both suffered their worst military defeats at the hands of Japan in the early days of the war. When it came to the latest in military weaponry, tanks, aircraft, naval aviation and submarine technology, Japan certainly had the most difficulty when it came to tanks. In border clashes with the Russians in Mongolia, the Japanese suffered severe setbacks even though, especially at that time, the Russians themselves were far from being up to the standard of other powers. Japan was hampered in this regard by never fighting an enemy in which armored combat was really essential. 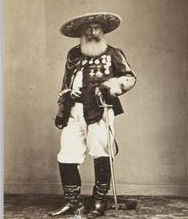 The Chinese never fielded much of a challenge in that regard and the attacks on Southeast Asia were made against colonial powers that were already engaged in a fight for survival in Europe and they had no tanks to defend these colonies and most had only token military forces designed to maintain law and order rather than repel a determined invader. Still, in some of the island battles it became clear that some answer had to be made to the rugged and reliable American M4 Sherman and by the end of the war Japan did develop some tank types that would have posed a challenge, such as the Type 3 Chi-nu. However, it was produced so late in the war that it was reserved to defend the home islands against an invasion that never came so that none were tested in battle. On the sea and in the air, however, things were very different. The Japanese were absolutely on the cutting edge of developing military aircraft. The famous Mitsubishi A6M Zero fighter, mostly used in naval aviation but which was ground-based as well, was regarded by both Axis and Allied countries as the best carrier-based fighter in the world at the time. In the early weeks and months of the war, the Japanese Zero shot down 12 Allied planes for every one of their own lost. It gave Japan a marked advantage over anything the British or Americans had on hand to use against it. The only problem was that, once the war began, it became extremely difficult for Japanese industry to keep up as American fighters continued to improve. However, the biggest loss was in pilots. The most successful fighter pilots of the war, after the Germans, were the Japanese, the most successful being Lieutenant Hiroyoshi Nishizawa who, even by the most conservative of statistics, shot down far more planes than the best British, Russian or American pilots. An expert Japanese pilot in the latest aircraft proved to be capable of victory even against enemy forces that were considerably superior in number. The problem was that so many of these expert, remarkably well trained pilots were lost at the disastrous Battle of Midway that Japanese naval aviation was never able to recover. Pilots simply could not be trained and new planes designed and manufactured fast enough to keep up with what the war effort demanded. However, it was the Japanese who proved the real value of naval aviation and the centrality of the aircraft carrier in modern warfare. As mentioned, they took a lesson from the British raid on Taranto, but not many others did. Too many military leaders around the world regarded Taranto as a fluke, a case of the British being lucky and later felt satisfied when it was shown that the damage to the Italian fleet had not been quite as extensive as was first thought. However, after the overwhelming, stunning, Japanese victory at Pearl Harbor (the worst defeat in the history of the United States Navy) no one could ignore the results. The innovative military thinking of Admiral Isoroku Yamamoto had been vindicated dramatically. Japan also developed, during the war, the Kawanishi N1K “Strong Wind” interceptor that proved more than a match for the American “Corsair” or “Mustang” and at least a match for the famous F6F “Hellcat”. However, it was impossible to produce these in sufficient numbers for them to have much of an impact. Production quality was also a problem for the Nakajima Ki-84 “Gale” fighter but when it was properly built, had good quality fuel and an expert pilot it was an extremely effective aircraft and was capable of such high speed (nearly 400mph) that it was able to intercept the B-29 Superfortress bombers. Using technical data supplied by Germany, Japan also had several designs for jet aircraft by the end of the war but they were too late to see service. Now, even if one were to discount these craft because none were completed and they were based on German technology, Japan developed craft independent that were very similar. 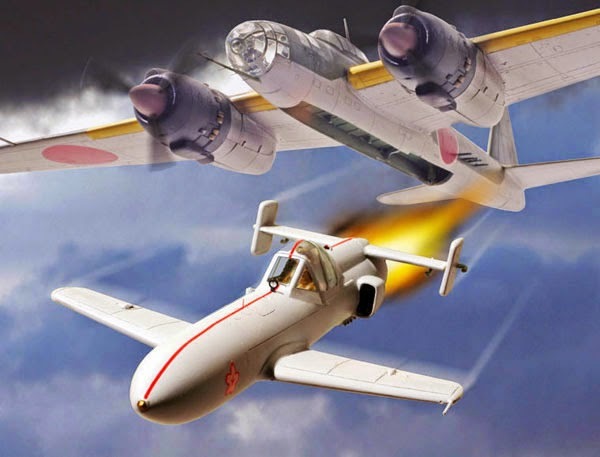 Probably the most famous was the Yokosuka MXY7 “Cherry Blossom” (Ohka) which was a rocket-propelled suicide plane. Its speed was so great that it was virtually unstoppable in its final attack and forced the US Navy to re-organize their anti-aircraft defenses. They did not have much of an impact, as a suicide-weapon it was a weapon of desperation but showed how far “outside the box” Japanese military designers were able to go. The one area where Japanese innovation stood out more than any other, and so much so that it really requires very little in the way of explanation, was in naval warships and submarines. Already pioneers in the utilization of aircraft carriers, the Imperial Japanese Navy pushed the boundaries of military technology for both traditional warships and in new fields such as the submarine fleet. The problem was that most of these never had the chance to really engage in the sort of battle for which they were intended. 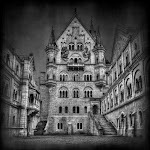 Nonetheless, the designs were positively astounding and some have never been surpassed even to this day. 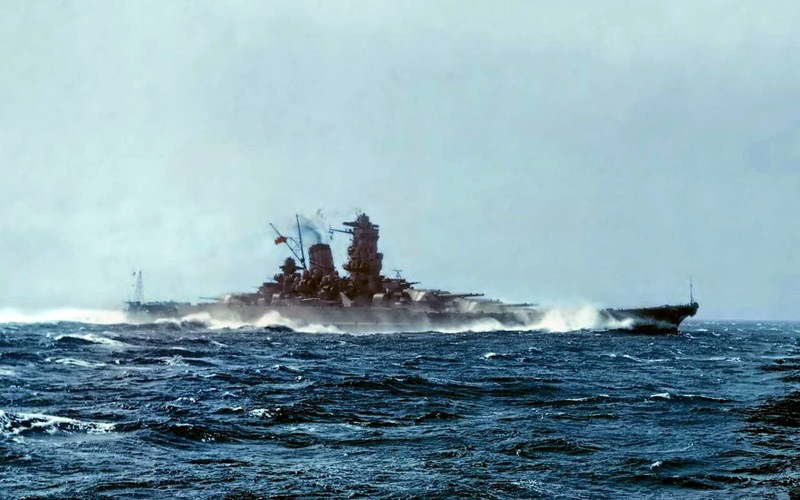 Undoubtedly the most famous Japanese naval vessel of the war was the battleship Yamato, though its sister ship, Musashi, was probably even more formidable. These were, quite simply, the largest battleships ever built and will probably always remain so. They were built as part of the thinking of the Japanese naval high command which was focused on a major, decisive, battle such as was won by Admiral Togo at Tsushima in the war against Russia. With these two monster warships, Japan was confident of being able to totally dominate any ship-to-ship engagement with any navy in the world. The problem, of course, was that such a battle never came about, partly because of Japan’s own victory at Pearl Harbor which largely decimated the American battleship force. The US struck back with aircraft carriers and submarines and the two huge battleships remained in port, protected from such threats, for most of the war. However, they did finally come out to do battle, when the odds were irreversibly stacked against Japan, at Leyte Gulf. Coming under attack from the air, as opposed to from enemy surface ships which she was intended to combat, the Musashi was finally sunk but only after enduring an unbelievable 17 direct bomb hits and (believe it or not) 19 torpedo hits at the Battle of Leyte Gulf in 1944. The Yamato went out in 1945 on a suicide mission against US forces at Okinawa and was likewise sunk by American carrier planes but likewise it took no less than 7 direct bomb hits and being struck by 10 torpedoes before the massive ship went down. There was a third such ship planned but during construction it was decided to turn it into an aircraft carrier rather than a battleship and the result was the Shinano, the largest aircraft carrier in the world and the largest warship of any kind ever built up to that time. Unfortunately for Japan, it was sunk by an American submarine before it ever launched a single aircraft in combat, which at least goes to show that the cautious attitude towards the Yamato and Musashi had been justified. Japan also broke plenty of records under the water as well. No one was as innovative as Japan when it came to submarine design, though Japanese boats were so poorly utilized that they never came close to scoring anywhere near the success that Germany or Italy did. This was partly due to an over-ambitious strategy combined with overly-cautious tactics (which meant few ever got the opportunity to score many victories) but also because of the level of innovation itself which resulted in Japan producing so many different types of subs that none were able to be mass-produced in the numbers needed to have any appreciable impact on the war effort. Nonetheless, Japan produced highly advanced boats that demonstrated immense creativity and technical know-how. 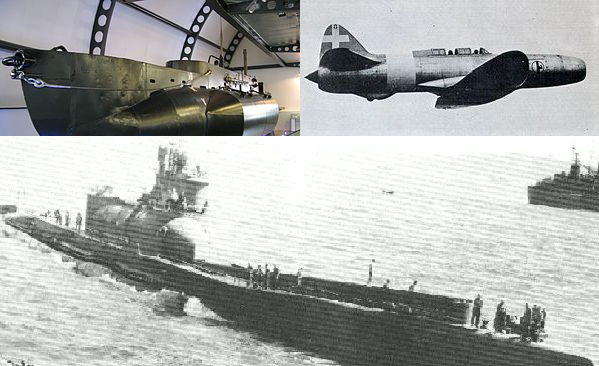 One area Japan was famous for was in combining air power with submarines. Many Japanese subs were equipped with small scout planes that could be launched and recovered from the sub itself to serve as reconnaissance aircraft. One even took up a few incendiary bombs which were dropped on the west coast of the United States. However, as the war situation became more desperate, many subs were forced into carrying cargo to isolated, starving garrisons on the islands of the south Pacific. It is all the more remarkable though, given how Japanese subs were never used to their full potential, that some still did manage to pull off incredible successes. For example, in the Battle of Midway, Lt. Comm. Yahachi Tanabe of the I-168 daringly steered under a screen of US destroyers to sink the aircraft carrier USS Yorktown and the destroyer USS Hammann. Even more incredibly, Tanebe and his crew then managed to survive the ensuing counter-attack and evade the US warships to return damaged but intact to Japan. Most famous of all was Lt. Comm. Takakazu Kinashi of the I-19 who, on September 15, 1943, scored the single most successful submarine attack in history when one salvo of torpedoes took down the aircraft carrier USS Wasp, damaged the battleship USS North Carolina and sank the destroyer USS O’Brien. In terms of boat designs, Japan produced the super-streamlined SenTaka class boats which actually had a higher underwater speed than even the most advanced late-war German Type XXI, making them the fastest submarines up to that time and which were also extremely deep-diving. However, they came too late to see action. Similarly, Japan produced the very famous SenToku class boats, I-400, I-401 and I-402 which were massive ‘double-decker’ submarines equipped with three Seiran bombers. Originally intended to be used for surprise bombing raids against Washington and New York they were later planned for an attack on the Panama Canal but the war ended before they reached their target. These had a longer-range than any submarine in history, giving them more endurance than any sub before the nuclear era and they were the largest submarines ever built up until the launch of the American nuclear ballistic missile submarine USS Benjamin Franklin in 1965. In fact, some of the early American missile subs were probably based off of the I-400 design. All of this is important information to know, even for those monarchists who are not terribly interested in weapons of war and military technology. It demonstrates how completely absurd the republican accusation is that monarchy is some sort of obstacle to progress or that countries with monarchies are stuck in the past, bound to tradition and blind to progress. On the contrary, monarchies respect tradition because they honor their past which gives them the courage to go forward onto new ground. There are many fields one could look at and military advancements are clearly no exception. In a world where republican powers have the most military muscle today, it is worth remembering that they didn’t get their all on their own. It was the British who invented the first fully automatic machine gun, the British who invented the tank, the torpedo, radar and who pioneered naval aviation, it was the Kingdom of Italy that first used aircraft in combat and had the first paratroopers and it was the Empire of Japan that built the largest battleships in history -and that’s only looking at the major monarchies of World War II. To be fair, a few republics have proven quite innovative and have achieved remarkable things in a number of fields but the point is that monarchies have as well. 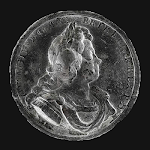 Having a dictator chosen by the party elite or electing a president based on a popularity contest does not guarantee achievement any more than having a hereditary monarch precludes it. 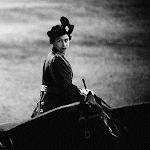 Monarchies have a proven record of being willing to try new things just as they have the good sense to hold on to what has proven to work best. Yet another great article. I have a friend who is a neo-nazi, he is always going on about how great German weaponry and science were in WWII, so I sent him this article. God bless. 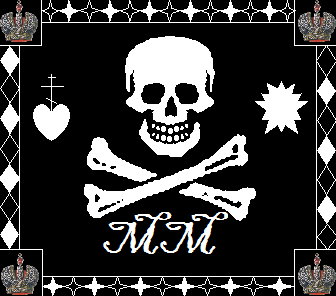 I have talked a great deal about micronation monarchies like Monaco and Liechtenstein. If, however, you are referring to the likes of people who declare their basement or bedroom to be a country then I wouldn't hold my breath as such do not help the monarchist cause in my view, they just make monarchists look silly. The only one I know of that actually had at least a case was Sealand and I think even that one no longer has a legal leg to stand on. They're jokes, they're imaginary and they know it -otherwise they would be in jail for refusing to pay their taxes. While on the subject of micronations I would like to know your opinion on the Russian monarchist movement, which has declared itself a micronation. The I-400 submarines are huge!! And the Italian paratroopers look so awesome! No argument here, as a near life-long sub enthusiast the I-400's were just magnificent boats -and I had to fight the urge to not go on at length about exactly how they were so brilliantly designed. As for the Italians and their armored forces, one has to admire the courage of Italian tankers. Not only were they always fighting against near impossible odds but the lack of radios meant that it was impossible to coordinate once they were committed to battle. 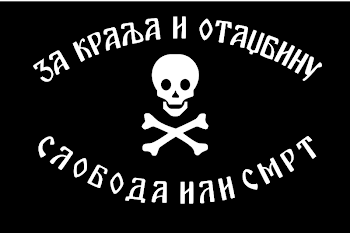 Can you imagine trying to communicate via signal flags during a tank battle? I don't think they get near enough credit. 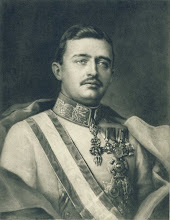 Also, describing yourself as a ‘sub enthusiast’ and with your interest in the Austro-Hungarian Empire, are you familiar with the historical novels of John Biggins, the ‘Otto Prohaska’ series? http://www.johnbigginsfiction.com/prohaska John Biggins is British (b.1949) and he stumbled across photos of the Austro-Hungarian submarine service, which inspired him to write this four-book series. I’ve only read the first two, so far; but the first is very good—historically well-researched, interesting being about pioneering submariners, and about a navy that probably few have given consideration to; and a great sense of melancholia pervades the book, as the characters experience the loss of the country that they were born in and loyally served. The second is perhaps—imho—not up to the standard of the first but is still good and interesting (unflattering to Franz Ferdinand though). That's true and many German aces also resisted being moved to other duties. German (and Japanese) pilots also tended to have to fly much more often and so had more opportunities to gain victories than others did. Thanks for the book tip, I don't usually read novels but I'll have to look into those. The KuK kriegsmarine gets very little attention and while their sub fleet was very modest, they actually had a higher ratio of victories per torpedoes fired than the Germans did. The famous Captain von Trapp (who most people know at least from "The Sound of Music") was the top Austrian sub skipper.